We are currently seeking a highly qualified Specialist Digital Activations and Outreach to join our Government Affairs department in Washington, DC. The successful candidate will execute legislative and regulatory digital outreach programs for Government Affairs on federal, state and local issues. Developing and executing digital grassroots activations, communications, and outreach to external and internal stakeholders. Managing digital ad content development, internal review and execution for: Social, Display, Video, Search/Keyword, Geo-fencing, and Point-of-Sale/ Retail programs, etc. Managing existing website content updates, redesigns, and performance optimization for grassroots activity. Applying research and big data learnings to effective campaign targeting and message development. Establishing and maintaining effective relationships with internal stakeholders, external vendors and contract consultants. Assisting in the development of legislative/regulatory strategies as a participant in broader Government Affairs initiatives that extend beyond legislative outreach. 2+ years of related professional experience, including issue advocacy, digital / social advertising, and advocate outreach. Grassroots and digital campaign experience preferred. Knowledge of the legislative process, campaign management strategies and a passion for digital media and evolving advocacy tools. Exposure to government affairs, political campaigns and legislative activity. Excellent communication skills (written, interpersonal and presentation) as applied to a broad variety of stakeholder communities, (i.e. executives, shareholders, consumers, legislators, retail and trade partners). Familiarity translating quantitative and qualitative research findings into actionable campaign strategies. Proven influencing, collaboration and diplomacy skills, including influencing without authority and building strategic collaborative partnerships to engage diverse audiences. Strategic thinking skills and the ability to translate strategic objectives into actionable plans and processes. Altria is a Fortune 200 company, proud to call Richmond, Virginia our home. Our companies – which have been the undisputed market leaders in the U.S. tobacco industry for decades – include some of the most enduring names in American business: Philip Morris USA, the maker of Marlboro cigarettes, and U.S. Smokeless Tobacco Company, the maker of Copenhagen and Skoal. We also own John Middleton, manufacturer of Black & Mild cigars, Nat Sherman, a super-premium cigarette and cigar business and Nu Mark, an innovation company which makes e-vapor products like Mark Ten. We complement our total tobacco platform with Ste. Michelle Wine Estates, a collection of distinctive wine estates and maker of Chateau Ste. Michelle, and our significant equity investment in Anheuser-Busch InBev – the world's largest brewer. 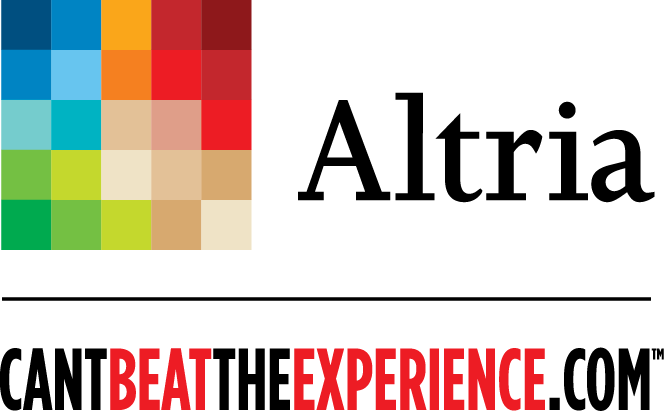 Altria Client Services’ role is to help Altria Group and its operating companies responsibly meet their business goals by providing the high quality services they require in a financially disciplined way. At Altria Client Services, we recognize that our people are the reason we achieve our business goals. We believe in developing the leadership potential of our employees by providing opportunities for training, development and advancement. In addition to the opportunity to apply and develop your skills toward key business objectives, we offer an excellent compensation package including a competitive base salary, comprehensive health/vision/dental insurance, participation in our deferred profit sharing and incentive compensation programs as well as a relocation assistance package.